Working with both buyers and sellers, Kendrick and his team have continuously been the top team in Santa Barbara by successfully selling 1,700 homes totaling over one billion dollars in real estate. 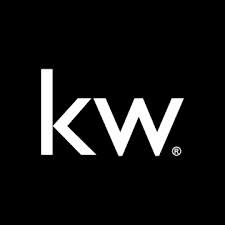 Supported by Keller Williams, the #1 real estate company in the U.S., Kendrick brings his own unique, results-oriented approach to the practice of real estate. We have a genuine interest in the needs of our clients and are known in the industry for our professionalism and reliability. Whether buyer or seller, Kendrick is committed to delivering a service that far exceeds all rational expectation. There is tremendous pressure and powerful emotions involved with every purchase or sale of a property. Kendrick will develop an intimate knowledge of your needs, providing comforting support with his team’s expertise, and ultimately deliver the result you desire. Kendrick's goal is to establish a memorable, gratifying experience from his clients as we develop long-term partnerships.